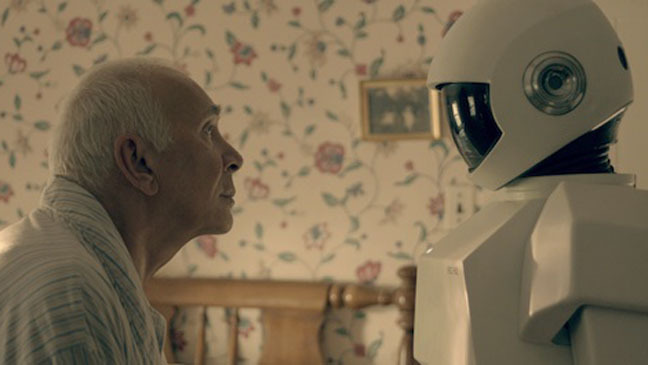 Today I saw the movie “Robot & Frank.” It’s about a retired burglar, Frank, whose children, concerned about his mental health and living alone, gets him a humanoid robot that is programmed to improve their father’s physical and mental health. This was a great film about one example of growing old and the problems that are associated with aging. It touched upon a couple of the needs of seniors, specifically, the need for companionship and the need to be able to do something that they enjoy (although I wouldn’t recommend being a burglar and a shoplifter as a hobby). This actually is a good film for this year’s FIRST LEGO League theme “Senior Solutions.” It’s funny, it’s enlightening about senior issues, and it’s about a robot! However, please note this is a PG-13 movie; there is some cursing in it. Perhaps, coaches and 13 and 14 year old FLLers could see this movie together.